Cancer Treatments without Borders . Cancer treatment options differ between countries, often due to population size and economic factors. For example, due to cost, technologies such as Proton Beam Therapy are not available in AU & NZ but available in USA, EU & parts of Asia. Participants in our navigation services can access some of the best medical minds in the world who will help you get the right diagnosis & treatment Our role is to refer, organise, coordinate, advise & support you through the whole process. 44 years experience – helping patients safely navigate the complex global cancer maze. GERMAN CANCER TREATMENTS: We ceased working with the private oncology clinic in 2014 after 3 years involvement. We still refer some AU & NZ patients to selected German Oncology colleagues in reputed German hospitals. BACKGROUND: We have 30+ yrs experience referring patients (if and when appropriate) to Germany. This includes 3-yrs leading medical tours to a German Private Oncology Clinic. Intensive work – we stayed in the clinic & supervised treatments. BETTER OPTIONS in ASIA: We have developed an alliance of leading oncology practitioners in Asia – Singapore, Taiwan, Malaysia, Japan. This enables a range of high tech treatment options unavailable in Australia or New Zealand. For example cyber knife and proton beam therapy. We find helping patients closer to home than Germany consistently yields better survival & longevity outcomes. We have priority access for patients to innovative local treatments in Australia and neighbouring Asia. Most of these treatments were unknown to the patient’s doctor/hospital or restricted due to hospital protocols. Have you exhausted local treatment options? We have patients alive today because we referred them to another oncologist or another Australian or quality Asian Hospital who could offer them a better chance. So when you are told there is nothing more we can do – please check with us to see if that is true first. There may be more that can be done within your own country (where your medical insurance can assist). PERSONAL EXPERIENCE: My own life was saved 3 times due to having colon surgery overseas – Netherlands, 2003, Singapore 2009/14. With extensive experience in cancer supportive care medicine and having co-founded Australia’s first cancer support groups, it was still challenging for me to find an overseas hospital that could accommodate my medical needs back in 2002-03. Navigating one’s way through the maze of overseas options now available for cancer patients is fraught with challenges and potential health issues not obvious at the outset. Many patients are enticed by promise of a cure; especially if they believe they have exhausted all local treatment options. The Clinics currently attracting most patients are located in Germany, China & Mexico. Having led medi-tours to Germany for 3-yrs, over time, we found significant discrepancies between what the clinics promised and what they deliver – in short we were very disappointed with patient survival rates. In such cases it is nearly impossible for patients (let alone doctors) to get accurate statistics about treatments outcomes so you can’t really know what is going on. Few of these types of clinics have reliable follow up methodology. Few are government regulated. Record keeping is poor. Many patients ‘burned their medical bridges’ back home and are compelled to keep going back to Germany until the cost becomes prohibitive. SELF-REFERRALS: From our experience, many self referred cancer patients travel with incomplete medical records and no one to case manage or advocate on their behalf. In particular – they often do not return to their oncologist when they arrive back in their home country and they tend to maintain a poor level of monitoring and follow up. With little real knowledge of treatments and the nature of cancer itself – patients often don’t know the questions to ask or how to validate the treatments they are offered. 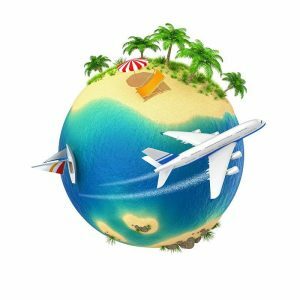 There is a lot to know before embarking on an overseas trip for cancer treatment. Often patients self-refer to International Clinics, having been informed from the internet. Many simply choose the cheaper option without really knowing what they are getting for their spend. Many Clinics treating cancer in Germany & Mexico are alternative medicine based – but there are a few who wisely combine conventional medicine with complementary & psychological approaches & these present a better option. Once again, there is a lot to know before you embark upon such a journey & who do you trust? Misleading German Manuals: Recently a patient sent us a popular guide book about German Cancer Breakthroughs. We had worked with many of the clinics in the manual and it was immediately clear to us the author clearly knew very little about their treatment outcomes other than what he was told. His statements were wildly optimistic at best with many innacuracies and glaring omissions. You cannot rely on clinic data and we found you could not assess patient outcomes unless you worked closely (referred patients) there for some years. Contact Grace for personalised assistance with an international referral. We currently refer to (and help you navigate) hospitals throughout Australia, the USA, Japan, Singapore, Malaysia, Taiwan, Germany, and more.